To build a great organization, you need to start with hiring the best staff. For this, social media offers to the recruiters a way to openly connect with talented employees through social recruiting. The rapid and aggressive expansion of social sites provides unparalleled access to large numbers of individuals who have clearly mentioned their job experiences and other relevant information that recruiters constantly seek. Unlike old times, you don’t have to eagerly wait for that unreachable talent to stumble upon a job that you have posted – the large network of social media manages to find and contact talented candidates directly. LinkedIn, Twitter and Facebook have over 536 million combined users. That equals a huge potential talent for your business. The question is – how do you come across the right person for the right job using social media in recruitment? Social networking sites (SNSs) permit users to make web-based profiles where people can interact, using the tools of social media. While they were initially designed for the sole purpose of socializing with family and friends, these platforms have become an essential professional tool, particularly for the recruiters. They perform two key purposes. The first is a tool of marketing; employers looking for potential candidates can utilize SNSs to market themselves to the masses and vice versa. The second is a mechanism of screening; employers can make use of information accessible via SNSs to easily gain a broader and better image of a potential worker than that obtainable through traditional recruitment methods. 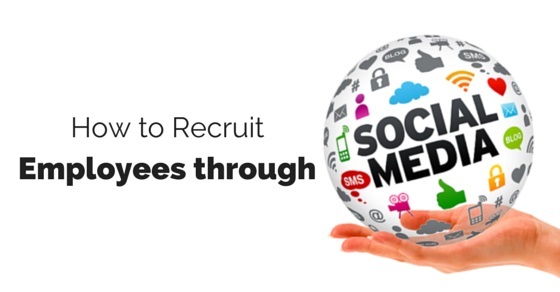 How to Recruit Employees through Social Media? As a recruiter, you would want to be where the most talented, qualified, and largest pools of applicants are. The basic point to remember while starting social recruiting is to observe where the public is – especially, the individuals you want for your company. 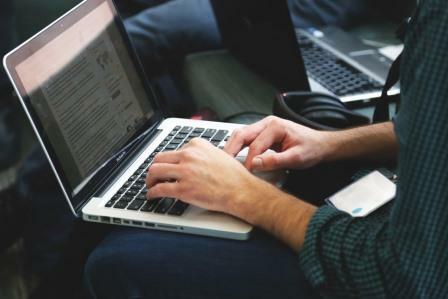 Browse websites systematically to get to know which type of people use the site: big social sites like Facebook, Twitter and LinkedIn are used by a larger number of people, whereas blogs offer a more focused and smaller audience. You ought to discover the sites which best suit your company and create an account on them. It’s important to maintain relationships that are reliable and which help you out during the time of hiring. When expanding your network online, don’t ever forget your major asset – your present workforce. Almost all the people at your company can help you in some way or the other during recruiting process. Internal recommendations have proven to be an excellent way to get trustworthy and dependable people and asking your workers to announce job vacancies in their Facebook and LinkedIn status updates increase your network to individuals who are not directly associated with your business. For few companies, like Google, it is the primary resource to find worthy candidates. As you expand your network online, help other people whenever you can. There might be a connection that is eager to fill a vacancy or perhaps seeking an opinion in your area of proficiency, and you are capable of giving significant help, go ahead and make that endeavor. Accomplish more than simply posting employments – build your image of an appropriate source and you are bound to get wholehearted help in times of need. Through it all, remain professional and courteous. Bad reviews for your company can reach to millions within minutes over the Internet. This is a common debate of social media: Is it better to enhance the quality of the existing connections or to expand the quantity of one’s contacts? It depends on you to decide what you want. The bigger your network is you are more likely to reach a larger number of people. But having 60 people who are determined to help you with your recruitment are far more precious than 600 people who can barely recall how they are connected with you. So grow your network online, but grow it in a good way – otherwise, you might get considered as a spammer. LinkedIn is an out-and-out business networking site which provides the easiest and simplest way to resume style career information. You should make sure that your organizations as well as your own page is well updated, and eventually build up your network by not only connecting with present workers but also former co-workers. 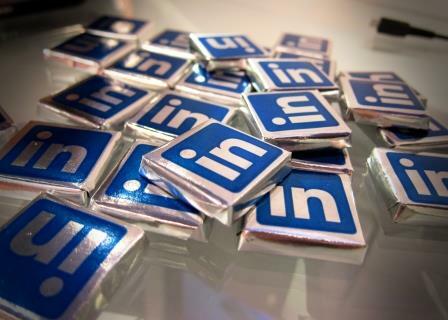 LinkedIn is not just an information storeroom – other key features facilitate you to create and enhance relationships with prospective candidates before you hire them. This will allow people to find you and instantly connect with you as well. Since LinkedIn is more professionally targeted, you may find that it will yield more response than both Facebook and twitter for certain job. Join user-created groups which are significant to your industry and business. Also, pay attention and follow the discussions taking place in those groups. LinkedIn permits the users to pose questions which can be answered by anyone connected to their network. If you think you have pertinent information to share, post it then. This will help you in establishing as a dependable resource and enlarge your contacts with business talent. Make extensive use of Twitter for the purpose of recruitment, by regularly tweeting vacancies as and when they crop up. Advertising for a job on Twitter has a wider reach, as they can be retweeted (RT) by anyone who is not personally interested, but know someone who might be. You should also link your Twitter account to your website and on all your social existence elsewhere. Tweet about informative articles, your company’s work culture, upload photos, and tell fascinating inside stories about your jobs and company, whenever you feel like. Regularly answer all the queries from potential candidates. You should engage the people in your conversations. However, one should never spam followers with Job and PR feeds. It’s both free and easy to post job openings on social media. The information spreads instantly across your network and even if no one is a good fit or not interested for that role, they might be acquainted with a strong candidate who fits perfectly well. For example, on twitter you can post – Looking for an accountant, great opp. Huge growth. Please RT. When you ask people to retweet, you can conveniently leverage your network and make your message reach to a larger audience. Make your job postings unique, by adding hashtags, which are simply formed by prefixing any word with a hash symbol (#). They are used to find and filter information on Twitter. 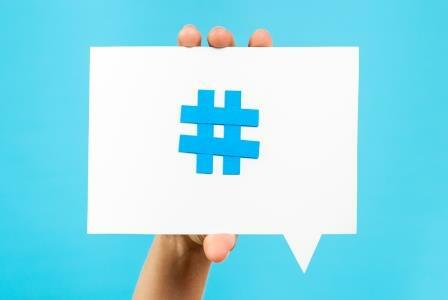 When you include a hashtag before a keyword in your tweet, it instantly becomes searchable. Some examples are: #jobpost, #job, #recruiting #employment, #hiring, #staffing, #greatjob #salesjob, #NAJ (that’s a lingo on twitter, which refers to Need A Job). You can use multiple hashtags in your tweet, but bear in mind that your characters are limited, so be strategic and careful in choosing the right hashtags. Facebook is definitely the best-known tool of social media, and is broadly used by people who wish to connect socially. Some companies do, however, include Facebook in the recruitment strategy. Every company’s Facebook page publishes essential information that pertains to the company, for example posting a photograph of the new team members, if it launches a new store. The company uses this tool to catch the attention of applicants, usually for beginner jobs in its new stores, rather than for a higher-ranking vacancy. You should know that Social Media is not a one way street, it is a two-way street. You are seeking out great employees, and employees are searching for a good place to work. Make sure your company’s LinkedIn and Facebook pages are relevant and updated, and give job aspirants an authentic view of your organization. Social media has extensively changed the way every company recruits. There are so many channels that an organization now have to track, monitor and strategically use to engage and attract candidates. This means the recruiters should pay attention to the methods which deliver the best results for your company and invest your efforts there, and scrutinize new technologies and tools that can aid you in achieving better results. Previous articleFirst 90 Days on the Job – What are your Priorities?